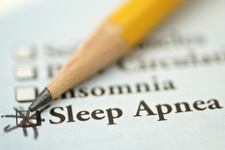 Do you suffer from sleep apnea or another type of sleep disorder? Many individuals don't realize that a visit to a well-trained dentist, like Dr. Briscoe, can offer answers to dramatically improving or even completely resolving sleep disorders. 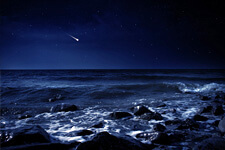 Reclaim your sleepless nights. Restore your overall health. 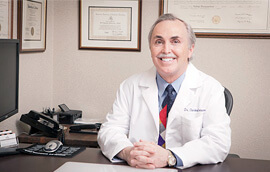 Dr. Charles Briscoe has undergone extensive training in the field of sleep apnea dentistry. If you suffer from sleep apnea or another type of sleep disorder, schedule a sleep dentistry consultation with Dr. Briscoe today. Here at La Jolla Dental Care, we have the tools and expertise to fully evaluate your condition and administer your personalized and effective sleep apnea treatment in San Diego. Once Dr. Briscoe has fully assessed your condition, he will walk you through your options and make recommendations based on your situation. Through the use of various custom-fitted oral devices, Dr. Briscoe can assist you to reclaim your sleepless nights and significantly reduce or even eliminate the health risks associated with your sleep disorder. Snoring is caused by an obstruction of the airway through which we breathe. There are several different issues that can cause air blockage, such as the tongue relaxing and falling back in the throat. Whatever the cause of obstruction, the end-result is that bothersome noise we call "snoring." In many cases the obstruction is minor and still allows for adequate oxygen intake but one should be cautious in disregarding the condition, as even minor snoring can be an early sign of obstructive sleep apnea. If you suffer from snoring or the effects of snoring, schedule a consultation with Dr. Briscoe for your personalized sleep apnea treatment in La Jolla. A dentist who specializes in sleep apnea treatment and other sleep disorders can prescribe and design one of several different kinds of custom-fitted oral devices, that help to keep the airway open during sleep. Your device will be custom fabricated to fit your mouth perfectly for maximum comfort and efficacy. The oral appliance assists by holding the lower jaw forward and open. This prevents the tissues of the tongue and throat from collapsing the critical airway. Such appliances can greatly reduce the severity of sleep apnea and its associated risks, and can even eliminate snoring. Even better, a custom oral device may help patients to entirely avoid the need for surgery, medications or other sleep apnea therapies. How do you know if Sleep Apnea Dentistry is right for you? The best way to find out about sleep apnea treatment in San Diego is to schedule a consultation with Dr. Briscoe at our office in La Jolla, just north of downtown San Diego. In a consultation, you can ask all of your questions, and find out exactly how Sleep Apnea Dentistry may be able to help you.